Which Sulfates Are Safer Than the Others? Whether you've decided to start a no-poo routine, or simply want to find an effective yet gentle cleanser, then you need to know the differences between the various cleansing agents. Which shampoo do you use? Which cleansing agent does it contain? I use Suave Daily Clarifying shampoo. It has the ammonium lauryl sulfate I believe but it leaves my hair very clean and product free, so Its definitely a keeper for me when I have product buildup. Also I only shampoo about once a month or when my hair has too much weight to it when I style it. i am currently using Carol's Daughter Hair Milk Shampoo. it leaves my hair feeling weird... sort of between stripped and moisturized. it get my scalp clean, but it's very weird. so, i think i am going to switch over, but i don't know to which brand yet. Any giovanni shampoo (smooth as silk and triple tea tree). I use Aubrey Organics White Camelia (love this one, JAY(jojoba, aloe & yucca) and Evening Primrose and Lavender (great for my scalp). From what I've read from real scientific reports, sodium laureth sulfate is a mild cleansing agent and should not be compared to sodium lauryl sulfate, which is considered to be very harsh on the hair. I use L'Oreal Vive Pro Smooth Gloss shampoo, which has sodium laureth sulfate in it and it does not dry my hair out at all. 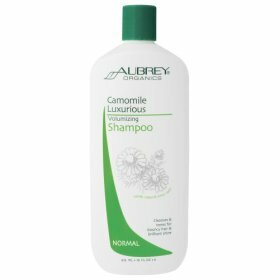 Maybe others would have a different experience, but I love this shampoo! Sulfate-free shampoos don't clean my hair well. I use AO HSR Shampoo. The coconut oil-corn oil soap it contains is actually coco glucoside. I find it to a gentle and effective cleanser. I stopped being afraind of sulfates after reading Jc's post over at the natural haven, and read about sulfates on the beauty brains. THEN I went home to Ghana for the summer (where the dust was EVERYWHERE)..... now I will not purchase a shampoo that does not have a sulfate in it (sodium lauryl, laureth... I don't care, I just want a sulfate). And I swim too, so it's great for getting chlorine out of my hair. In short, I find sulfates a very effective cleanser for (my) hair. i just make sure to use a moisturizing condish afterwards,and keep it moisturized. Never knew there was such a thing as "gentle sulfates". Good to know. I like Renpure Organics "My Pretty Hair is Parched" Moisturizing Shampoo. My hair feels squeaky clean afterward but not too drying or stripped either. Best shampoo I've tried & have actually liked & it can be found at your local drugstores which is a BIG plus!! The garnier triple nutrition cream shampoo and conditioner is awsome. Aqua (Purified Water), Calendula Officinalis (Marigold) Flower Extract*, Anthemis Nobilis (Chamomile) Flower Extract*, Aloe Barbadensis (Aloe Vera) Leaf Gel*, Laminaria Saccharina (Sea Kelp/Algae Extract), Cocamidopropyl Betaine, Hedychium Coronarium (Awapuhi) Extract, Cocamidopropyl Hydroxysultaine, Plumeria Acutifolis (Plumeria) Flower Extract, Aleurites Moluccana (Kukui) Nut Oil, Cymbidum Grandiflorum (Orchid) Flower Extract, Vegetable Glycerin, Natural Tocopherol (Vit. E), Lavendula Intermedia Leaf/Flower/Stem Extract*, Ascorbic Acid (Vit. C), Retinyl Palmitate (Vit. A), Decyl Glucoside, Oxybenzone, Triticum Vulgare (Hydrolyzed Wheat) Protein, Panthenol (Vit. B5), Ethyl Panthenol, Panthenyl Hydroxypropyl Steardimonium Chloride, Cyclopentasiloxane and Dimethicone, Citric Acid, Citrus Grandis (Grapefruit) Seed Extract, Potassium Sorbate, Sodium Benzoate, Fragrance Oil Blend. I'm sure it's one or more of the ingredients that I can't pronounce; so your guess is as good as mine. I have been using carols daughter for the past 6months now, my hair isnt soft at all it feels actually stripped of moisture and dry the scalp isnt flaky tho which is good but I want softness when I touch my hair. Having trouble finding a good shamp/condit to switch over to....any suggestions? ?